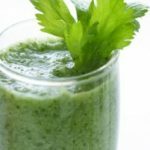 I can guarantee that you are going to love the taste of cucumbers in your green smoothie recipes! Cucumbers have a crisp, refreshing flavor. 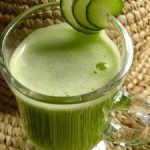 When you are making green smoothie recipes with cucumber, it will be best for you to keep the flavors of your smoothie simple by choosing delicate base fruits, like pears, and strongly flavored fruits, like melons or oranges. 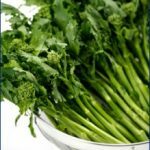 When you choose to use cucumbers in your green smoothie recipes, you will be providing your body with a great source of Vitamin A and Vitamin C. In terms of minerals, cucumbers contain molybdenum, folate, manganese, silica, potassium and magnesium. 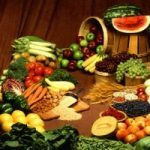 Furthermore, cucumbers are also an excellent source of dietary fiber. 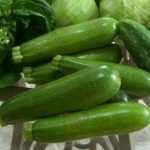 Cucumbers have been used for many years to improve the complexion of the skin, and modern medical studies have suggested that regularly consuming cucumbers can help to lower your blood pressure. When you are choosing cucumbers for your green smoothies, you should look for ones that are firm and nicely rounded at the edges. If the skin of the cucumbers are wrinkled, or if it is sunken in certain areas, then this is a sign that the cucumber may be rotting or going bad. Also, in order derive the maximum amount of nutritional benefit from cucumbers, look for ones that have been organically grown. I can usually find mine at my local farmer’s market. Modern cucumbers are often waxed to maintain their freshness, but the wax that is used is usually full of chemical compounds that could be toxic. 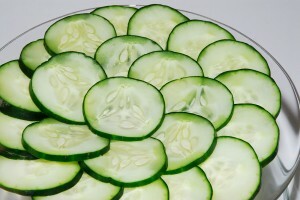 Because the peel of the cucumber is an important source of nutrition, organically grown cucumbers are the best option. 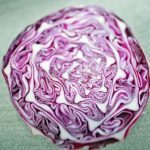 In a high speed blender, add these ingredients together one at a time and blend them together until a smooth consistency has been reached. 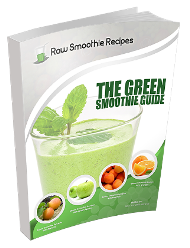 If you’d like for your green smoothie to be a little sweeter, try adding a bit of stevia to taste.